The blog of Robert Aaron Mitchell. Filmmaker, writer, interviewer, videographer. 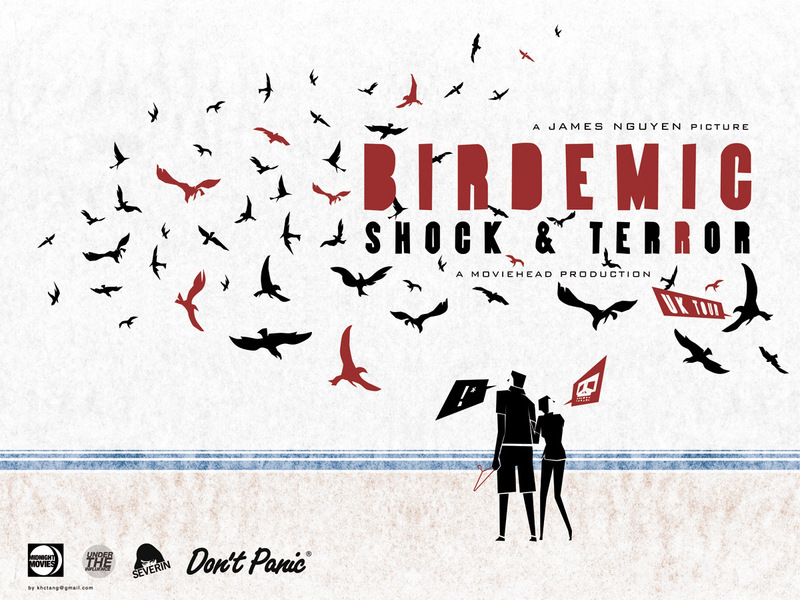 A couple of years ago a film called Birdemic: Shock and Terror defied all the odds of a self financed independent film. The film garnered a theatrical run, sold out movie theaters and secured a home video release. Anyone who has seen Birdemic cannot easily forget the movie. Mr. Nguyen is also very passionate about environmental issues. 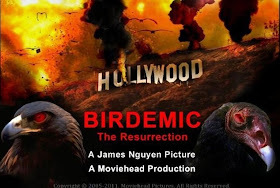 I recently spoke with James on his upcoming follow up to Birdemic -- Birdemic 2: The Resurrection, the current state of the environment and other film projects he is working on. When were struck with the notion that you wanted to make films? I became a filmmaker by accident in 2001 after launching a startup called Moviehead.com, an online movie theater in 1999. In 2001, I made my first movie call Julie and Jack which is a romantic thriller about love and spirituality; it is a modern day, Romeo and Juliet. Early in my life, I liked to watch romantic movies. My two favorite romantic movies are Somewhere in Time with Christopher Reeves and Jane Seymour and the 1963 Franco Zeffirelli’s Romeo and Juliet. But romance is not enough for me. I am not just interested in a chick flick. There has to be also some mystery, suspense, and a thriller. A romantic thriller. BIRDEMIC – Shock and Terror is a romantic thriller. The genre romantic thriller was invented by the great director Sir Alfred Hitchcock – The Master of Suspense. Examples of great Hitchcockian romantic thrillers are Vertigo, The Birds, Rear Window, North by Northwest, To Catch a Thief, Notorious & Rebecca. In my opinion, Vertigo is Hitchcock’s greatest romantic thriller and his greatest movie! Vertigo is my favorite Hitchcock movie. A romantic thriller is a feature movie that has the elements of romance, mystery, twists & turns and suspense; there is romance between the two protagonists, but there are forces that might affect the romance and that not all is well and not all are what they seemed to be. Mr. Hitchcock invented the genre of romantic thriller, but he never referred or calls it as romantic thriller. I formalized this genre and call it romantic thriller. In the first half of BIRDEMIC – Shock and Terror, there is romance between the two protagonists, Rod and Nathalie; there is foreshadowing that perhaps all is not normal (such as melting Arctic sea ice are killing Polar bears to extinction and the many forest fires). 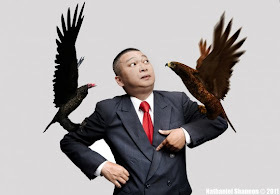 Half way through Birdemic, the eagles and vultures attack and the movie reveals why the eagles and vultures attacked through characters like Dr. Jones and the Tree Hugger. There are more information about romantic thrillers in my memoir, "Birdemic - Shock & Terror - The Romantic Thriller That became a Cult Sensation Hit!" at Birdemic.com. What films and directors would you consider influences? My favorite movie is Hitchcock's Vertigo which has a very strong influence in all my movies which are romantic thrillers.Everything I learned on how to make a movie is from Hitchcock's Cinema. 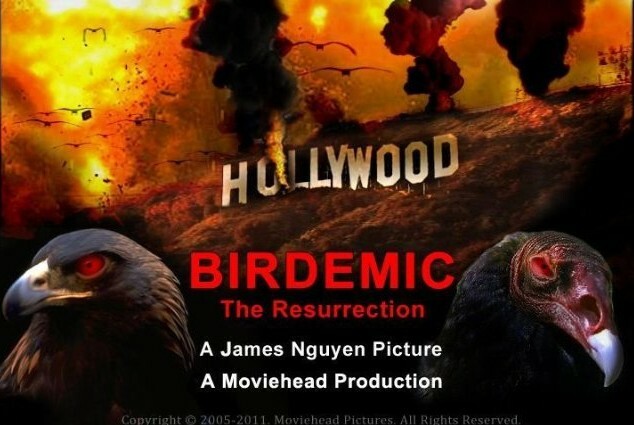 What did you learn as a filmmaker from making Birdemic? If you were to do anything differently would you change anything in Birdemic? I wish the bird animation would look more real. There was an environmental message in the first Birdemic, what are your thoughts on the current state of the environment since the premiere of Birdemic? Even with all the green actions, There still too much CO2 being released from cars and factories into the atmosphere. We are heading toward catastrophe. Do you think people are aware of the problems that face our environment and are we taking enough steps to try and stop global warming? I think that a lot of people are aware of the global warming, but only a few are living a green life style because to go green is expensive: electric car, solar panels and so on.There are people, organizations and companies that are taking steps to help slow down global warming, but their actions are not enough. To slow down global warming, every polluting things that are man made have to stop releasing CO2 into the atmosphere. What do you think we as individuals can do to help the environment? As I wrote in my memoir, "Birdemic - Shock & Terror - The Romantic Thriller That became a Cult Sensation Hit! ", people should try to live a green lifestyle as much as they can such as driving hybrid or electric car and installing solar panels at their house. How is Birdemic 2 coming along? 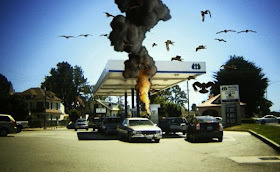 What awaits the audience of Birdemic 2? Birdemic 2 has a better storyline and plot than Birdemic 1. I have a small office in Hollywood, California. And my office is located at the street corner of Sunset Boulevard and La Brea Avenue. Hollywood honored the great Director, Mr. Billy Wilder by calling this street corner, The Billy Wilder Square for his greatest movie, Sunset Blvd. and Oscar winning movie career and films. Mr. Alfred Hitchcock is my favorite director. Mr. Billy Wilder is my second favorite movie director. The Spanish word, “La Brea” means the tar in English. Tar is that thick black sticky oil that is the hint to BIRDEMIC II – The Resurrection on why the eagles and vultures attack Hollywood? Who will survive? Do you have other stories you are wanting to film? What advice would you give to people who want to be creative and tell their own stories? Be sincere. Try to raise the money for their films from investors. But if they fail to raise the money for their films, then they should work with what they have like I did with Birdemic - Shock and Terror. Worf on the streets said peoples are definitely anticipating the Birdemic 2 premier. .
Robert Mitchell is a writer, photographer, videographer and interviewer.